Rugged Maniac burst onto the scene in 2010, and might be best known for being the obstacle course series that was featured on Shark Tank and got a $1.75M dollar investment from Mark Cuban. 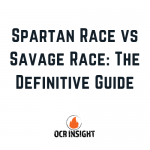 Spartan Race, on the other hand, came out around the same time, but has amassed a massive following due in large part to their longstanding sponsorship’s with Reebok and NBC, as well as their Championship series that brings out the world’s top OCR athletes each year. 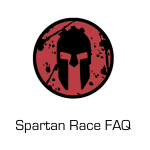 Spartan Races have four distances to choose from, and each event can feature anywhere from one to all four distances. Their shortest, the Spring distance, ranges from three to five miles, while their longest, the Ultra Beast, is over 26 miles long. 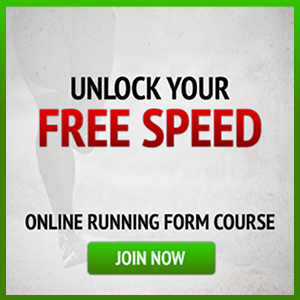 Each distance features at least 20 obstacles, with the longer events having more obstacles. 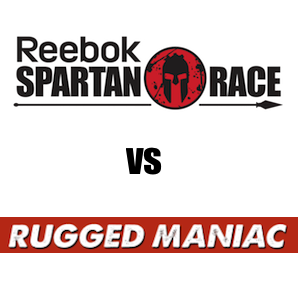 Unlike Spartan Race, Rugged Maniac only has one distance for all of their races. The 3.1 mile (5K) courses vary slightly from course to course, with some courses being very flat and others utilizing the area’s natural terrain. Each event also has exactly 25 obstacles to overcome before the finish line. Obstacles at spartan race are rarely complicated — you might see some basic wood walls, low hanging barbed wire you are expected to crawl under, or walls with 2×4 boards on the side you need to traverse. Very rarely does an obstacle need to be explained before you come across it. One other key aspect of Spartan Race obstacles is that races are usually held on some kind of extreme terrain, which are as much obstacles as anything built or brought to the race. Sometimes it is New England hills in the spring when the weather is likely to be wet, and other times it is in the Southwestern desert in the dry heat. Rugged Maniac obstacles have a more manufactured feel. While there are 25 obstacles at each race, they are never the same from one race to the next, or from one year to the next. You will find things with names like “The Crag,” “Bang the Gong,” or “The Gauntlet.” These obstacles are physically challenging, but not to the same level as many Spartan Race obstacles. Water is also a common element in Rugged Maniac races. Spartan Races are not cheap. As distances go up, so to do the prices. Entry level costs begin at $79, and can go as high as $235 for entry fees alone before you factor in taxes and fees, parking, and additional costs for each spectator. Rugged Maniac, though not nearly to the same level as Spartan Race, are still expensive races to take part in. 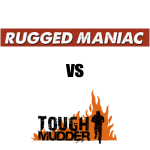 One major benefit, though, is that beyond the entry fees, there are few costs associated with Rugged Maniac. Spectators are free, and parking is only $10 at most events. In short, Spartan Races are better for athletes looking to challenge themselves against more difficult obstacles and competition, and Rugged Maniac is better for something looking for an “experience.” The spectator area at Rugged Maniac is more lively and has more of a party atmosphere. There is beer, free food, live music, and fun contests. While there is some of that in Spartan Race, the area is designed for viewing athletes compete in the event, and branded gear being sold by merchants. The best thing about both is the support and encouragement you will get from all of the athletes and supporters, who are all there to see you succeed no matter what your fitness level. 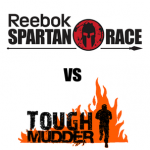 Despite their differences, whether you choose to compete in a Spartan Race or Rugged Maniac event, they are both fantastic events and should be experienced by anyone who is looking to push themselves physically and have fun in the process.